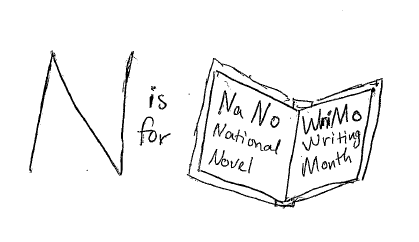 Have you ever considered writing a novel? 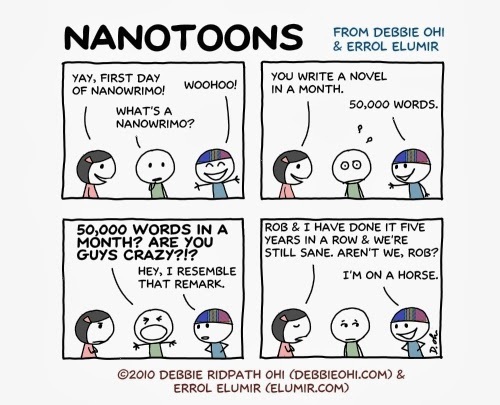 What about writing a novel in thirty days? That may sound crazy, but every November, tens of thousands of people do it, as part of National Novel-Writing Month. Why not join in? NaNoWriMo encourages high-intensity writing (50,000+ words) in a short period of time. Bringing together professional and amateur writers from all over the world, it's sort of like a support group for those struggling with writer’s block. If you want to push yourself to write more and more quickly, or are simply an enthusiastic lover of challenges, NaNoWriMo is a great way to get inspired, get started, or, if you’re ahead of the game, finally complete your partially finished work. Shanghai-born, Brooklyn-based writer Jack Cheng once said: “If it excites you and scares the crap out of you at the same time, it probably means you should do it.” If you do decide to accept the NaNoWriMo challenge, register on the site, and then get organized. The better prepared you are, the greater your chances of success, so why not designate October your pre-NaNoWriMo boot camp month? 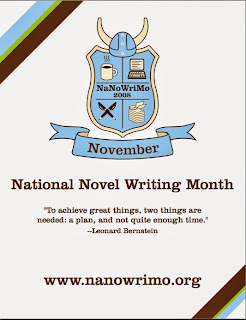 Wondering if NaNoWriMo is right for you? Start by evaluating past writers’ experiences. Not only do you stand to gain valuable tips and tricks from your experienced predecessors, you'll also be able to adjust your expectations and understand what you're getting yourself into. Writers read and readers write, so try re-reading some favorite books or stories. Reading exemplary writing can light the spark of excitement and encouragement. If you don't already have one, try making an "idea journal" with quotes, images, excerpts, photos, music, and anything else that inspires you. This is a good way to keep track of your current interests as a writer. By the end of October you should know what you want to write about during NaNoWriMo. Make a list in your idea journal of the names of your main characters and at least five qualities about each of them, the major dramatic question or conflict, the primary themes, and a layout of the structure. But don’t work yourself up over every last detail—leave some things to fate. Crazy loves company! One of the great things about NaNoWriMo is that it's easy to connect with other writers. Acting on this network sooner rather than later is a good way to gear up for the process, exchange ideas and strategies, discuss workshopping possibilities, and establish a support network to lean on during the intensive month. NaNoWriMo can be extremely rewarding—if you get it done. So know your limitations and make up a schedule of when you'll have time to write. Decide on your daily and weekly goals, and plan accordingly. This will help you be most efficient, and understand when you are lagging behind. If you found these tips helpful, we encourage you to share your NaNoWriMo plan-of-action and personal writing tips in the comments. Good Luck! You're probably going to need it.